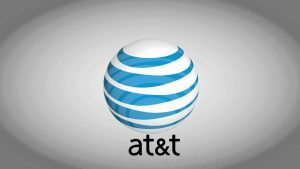 AT&T Inc. (NYSE:T) has missed analysts’ expectations with its latest quarterly results. The company reported net income of $3.0 billion, or 49 cents a share, for the quarter ended Sept. 30, down from $3.3 billion, or 54 cents a share, in the same quarter a year ago. Excluding some items, it reported earnings of 74 cents, just shy of the 75 cents per share expected by analysts, according to Thomson Reuters I/B/E/S. Revenue was $39.7 billion, down from $40.9 billion in the previous year. Analysts had expected revenue of $40.1 billion. Excluding lost business because of hurricanes and earthquakes, revenue would have been $39.8 billion. The company’s Latin American operations added $6.05 billion in operating revenue, up 13 percent from a year earlier. AT&T lost 89,000 U.S. video subscribers in the quarter, slightly fewer than the 90,000 it stated earlier this month in a regulatory filing. The decline in video service subscribers is the third quarterly drop in a row. AT&T’s traditional TV subscriptions are down 969,000 in the first nine months of 2017. AT&T also owns satellite television service DirecTV. The company’s DirecTV Now service, which streams channels over the internet, logged 296,000 new accounts for the quarter and ended the quarter with 787,000 subscribers. AT&T said it lost 97,000 phone subscribers who pay a monthly bill in the quarter, compared to a loss of 268,000 a year earlier. That was fewer than the net loss of 100,000 expected by analysts. The company ended the quarter with 138.8 million U.S. wireless subscribers. The company is currently the No. 2 wireless carrier in the U.S., behind industry leader Verizon Communications. Smaller rivals Sprint Corp. and T-Mobile US Inc. are also competing for customers in a saturated wireless market. Verizon Communications reported that it had added 603,000 postpaid wireless connections in the third quarter. T-Mobile US added 1.3 million subscribers in the third quarter, including 817,000 postpaid subscribers. AT&T reported 900,000 fewer handset equipment upgrades than in the year-ago period. Fewer of its existing customers upgraded their devices ahead of the launch of Apple’s iPhone X. Many consumers are putting off upgrades until the fourth quarter when the iPhone X is expected to launch. The drop negatively impacted wireless equipment revenue. AT&T is in the process of buying Time Warner Inc. for $85.4 billion. Time Warner is the owner of CNN, HBO and the Warner Bros. film and TV studio. The deal is currently under regulatory review. AT&T expects the deal to close by the end of the year.